A is for Amazing Allihies, Ahakista and Annascaul. 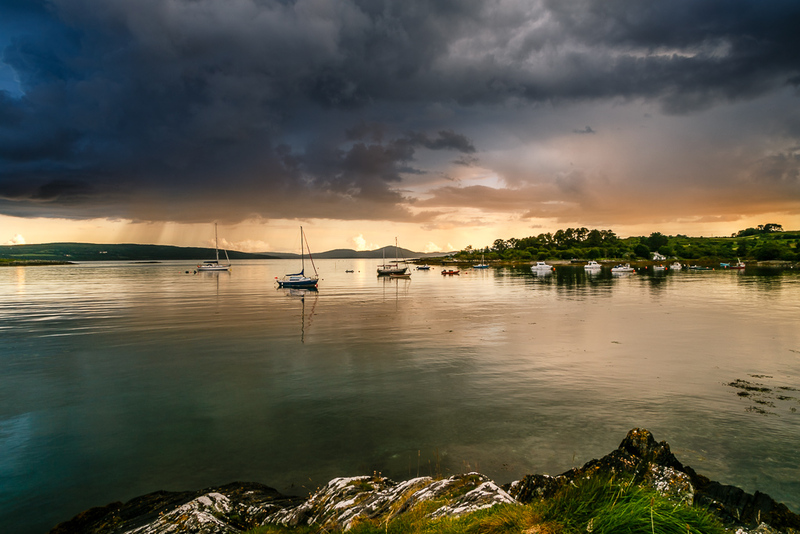 Allihies is a stunning coastal village which straddles the Cork-Kerry border. Its unique position nestled beneath imposing rock faces, looking out onto the wild Atlantic ocean. The village is dotted with cheery multicoloured houses and watering holes and eateries. Numerous coastal and hill walks can be found for the outdoor enthusiast. It was an important mining source in the 18th and 19th century and remnants of its history can be seen in the hillsides above. According to the legend ‘The Children of Lir’, the children are buried in Allihies. Ahakista is a wooded coastal village on the road to the Sheeps Head peninsula in West Cork. Besides its beauty it is also known for its famous summer resident, Graham Norton. Originally a sleepy fishing village, it has become more prominent as a tourist destination for its fabled walks and history. One of the loveliest pubs in Ireland, The Tin Pub is located in Ahakista. It has welcomed musicians from all over the world. 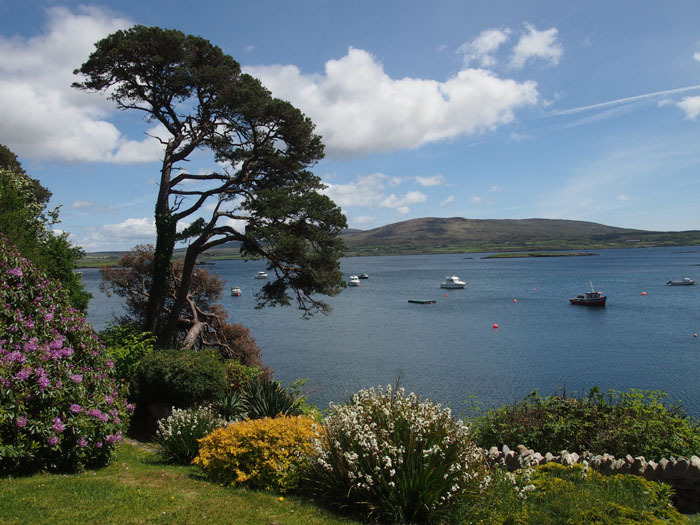 Its glorious gardens overlook Dunmanus Bay. With music, a pint in hand and breathtaking beauty, where else would you want to be? Annascaul was home to one of Ireland’s greatest explorers. Tom Crean. His epic voyages of discovery to Antarctica with Robert Falcon Scott and Ernest Shackleton have left an indelible mark on the psyche of many. 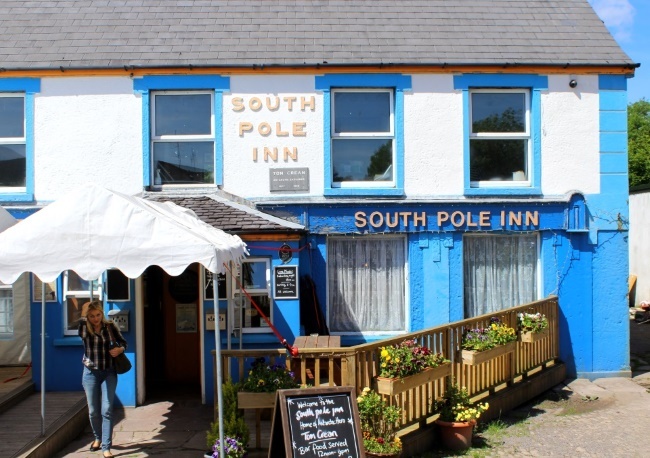 Despite risking life and limb on numerous occasions, this brave but private and modest man, bought a wee pub in his home which he called The South Pole Inn. The dramatic landscape which encompasses Annascaul includes brooding mountains, thunderous waterfalls and pounding coastline. The scenery, sensations and solitude is sure to set your heart beating anew!